At Fusion’s #DearNextPresident website, you’ll find a range of videos from teachers, students, activists, and celebrities alike that, much like Letters to the President 2.0, offer a platform for participants to tell the next President what issues they care most about in this election year. You’ll also find instructions for how to submit your own #DearNextPresident video, which you can also submit as a “letter” when the L2P2 student publishing site goes live in summer 2016! 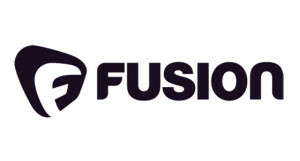 FUSION is the media brand with fresh stories and angles you won’t find anywhere else. From TVs to news feeds to whatever comes next, we’ve built the most authentic and entertaining information network to connect and engage the open minds of today’s generation who seek intelligent news, culture and entertainment. Letters to the Next President 2.0 engages and connects young people, aged 13-18, as they research, write, and make to voice their opinions on issues that matter to them in the coming election. Sign up for monthly resource and information bulletins.